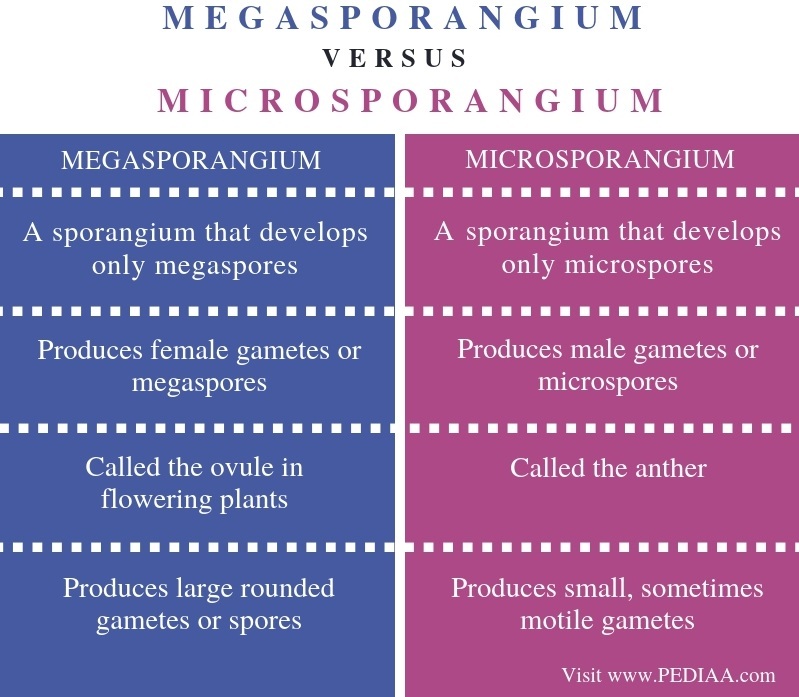 The main difference between megasporangium and microsporangium is that the megasporangium is the sac where the megaspores or female gametes are produced whereas the microsporangium is the sac where the microspores or male gamates are produced. Furthermore, in seed plants, megasporangium refers to the ovule while microsporangium refers to the anther. Megasporangium and microsporangium are gamete/spore-producing structures of the seed plants, some lycophytes, and a few ferns. Megasporagium is the structure which produces megaspores in plants. It undergoes meiosis to produce haploid spores through a process known as megasporogenesis. In seed plants, megasporangium is the ovule. The ovule is inside the ovary, which is the basal part of the ‘stamen of the flower’ in angiosperms and the ‘female cone’ of the gymnosperms. 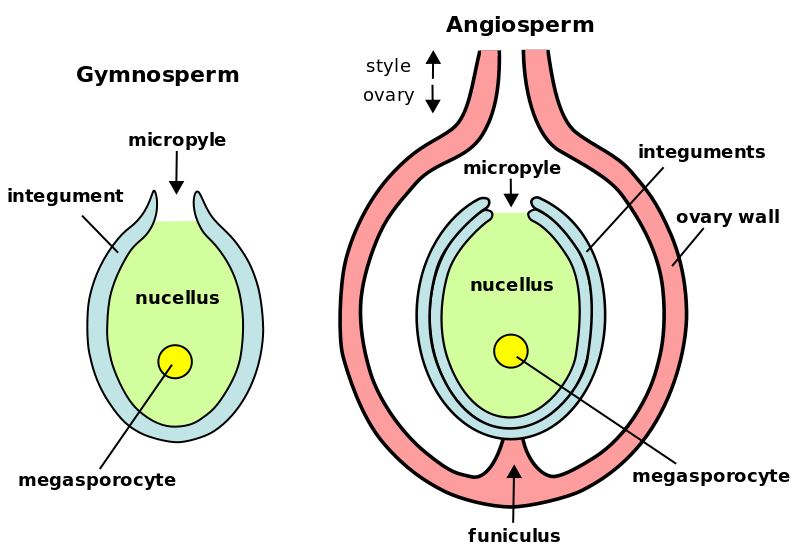 The three structural parts of the ovule are integuments, nucellus, and the embryo sac. Integuments are the outer layers of the ovule. Nucellus is the inner cell mass of the ovule, comprising of diploid, sporophytic cells. It undergoes the normal functions of the megasporangium. The megaspore mother cell in the middle of the nucellus undergoes sporogenesis through meiosis. One of the four resultant cells can develop into the megaspore. It is called the embryo sac in angiosperms and develops into megagametophyte, the female gametophyte. Microsporangium is the plant structure which produces microspores or male gametes by undergoing meiosis. This process is known as microsporogenesis. 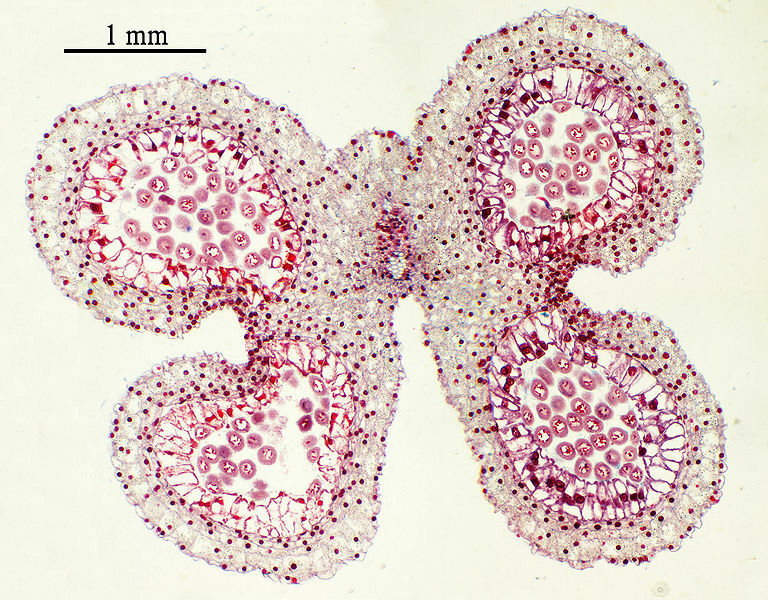 Microsporanium occurs in the ‘anther of the flower’ in angiosperms and the ‘male cone’ of the gymnosperms. In angiosperms, microsporangium is surrounded by four cell layers known as epidermis, endothecium, middle layers, and tapetum. The three outer layers protect the microsporangium and help in releasing pollen grains. The tapetum, the inner layer, helps to develop and nourish the pollen grains. The sporangium tissue, which undergoes meiosis to produce microspores, can be found n the middle of the tapetum. The cell wall of the microspores is made up of callose. During the development of pollen grains from these microspores, the callose cell wall is degraded and the inner and the outer walls of the pollen grain are formed. Megasporagium and microsporangium are the two structures that produce gametes or spores in heterosporous plants including seed plants, lycophytes, and ferns. Sporangiogenesis occurs inside them and haploid spores or gametes produced by meiosis. Megasporangium refers to a sporangium that develops only megaspores while microsporangium refers to a sporangium that develops only microspores. Megasporangium produces female gametes or megaspores while microsporangium produces male gametes or microspores. This is the main difference between megasporangium and microsporangium. Megasporangium is called the ovule in flowering plants while the microsporangium is called the anther. Another difference between megasporangium and microsporangium is that the megasporagium produces large, rounded gametes or spores while microsporangium produces small, sometimes motile gametes. Megasporangium is the sac where female gametes or megaspores are produced while microsporangium is the sac where male gametes or microspores are produced. They occur in seed plants, lycophytes, and ferns. The main difference between megasporangium and microsporangium is the type of gametes or spores produced by each type of sporangium.